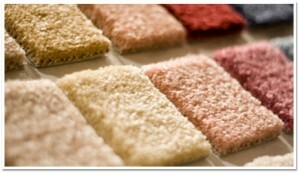 In recent years the trend for hard floors has been replaced with a re-ignited desire for soft, sumptuous carpet. That’s right, the carpet is making a come-back! It could be part of a whole room remodel or the one way you’ve chosen to give your room a lift, extra comfort or change of style. But your main investment isn’t financial, it’s time – how do you know you’re still going to love the carpet you chose, in 10 years from now? In this blog we aim to highlight the main things to consider when choosing your new carpet. And if we’ve missed anything you’ve come across, we’d love to hear about it. Foot traffic, animals, occasional use, the presence of food and proximity to the outside world all play a part in choosing which fibre, pile and colour is right for your room’s new carpet. For example, deeper pile, plush carpets tend to hold on to dirt particles, footprints and may suffer from the direction of the pile being permanently re-directed by heavy use. There’s nothing quite as decadent as a sumptuous wool carpet, but there are many alternatives that closely emulate the same effect. Thanks to new technologies and a developing industry, synthetic fibre carpets are becoming more popular. Finances needn’t be the first consideration anymore. As previously mentioned, the carpet manufacturing industry is rapidly developing some excellent carpets that also suit the lower budget. 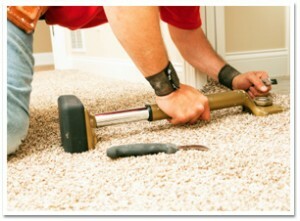 Your carpet fitter will be able to bring samples, so you can compare the more costly version to the more economical. Savings could also be made by choosing a lighter weight for an occasional room and a more hard wearing carpet in the same colour and style for a heavier use room. The only way to ensure your carpet sparkles with newness for longer is to make absolutely sure it is protected from stains. Regular professional cleaning often includes a stain protection application that will make sure your carpet is tip top from the BBQ season, through the gardening season and into the festive season. 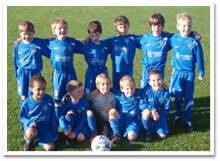 The right carpet fitter will be happy to engage with you during the decision making process. They will have advice and insight which you may not have considered before and be able to recommend suitable substitutes for unsuitable choices and of course, come armed with samples! Carpets will inevitably show signs of wear over a long period time, but the wrong carpet will build dirt, become worn and pick up stains more easily and may even resist even your best cleaning efforts. By spending time on our four considerations, you can increase the longevity of your new carpet and get more enjoyment from the comfort your choice brings. If you would like to meet our professional carpet fitter and find out more about how we can help you make the right choice for carpet, please give us a call on 01865 821145, or fill out our contact form. And for advice on professional carpet cleaning and stain protection, get in touch with our recommended professionals, Grimebusters. We trust the businesses we make referrals for and we’re sure you’ll be happy with the results from Oxford’s premier carpet and upholstery cleaners.